The Global Nature Fund (GNF) was founded in 1998 at Lake Constance, Germany as an NGO, with the objective to further and promote sustainable development at global level – special focus on nature and biodiversity. 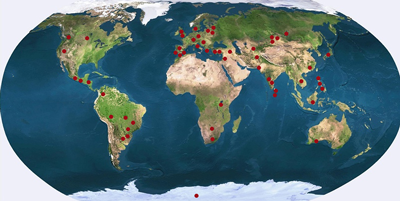 Its most significant project is the creation of the global network of natural lakes all across the globe "Living Lakes". "Living Lakes" project is focusing on exchange of experience and knowledge regarding sustainable management of lakes and wetlands. The project originated from the recognition that the pressing global problems can only be solved through mutual learning and mutually shared responsibility of the people from North and South. Supporting educational programs and cooperation with local communities towards conservation of the biodiversity of the lakes, wetlands and freshwater resources; Disseminating information and lessons learned relevant to aquatic ecosystems. 20 national and international Nature Summer Camps carried out – a volunteering programme for employees of companies supporting the Living Lakes network worldwide. In Tamil Nadu State, India, only about 8% of the drip irrigation farmers used the drip irrigation system effectively. Hence, to enhance the full potential of drip irrigation, a drip irrigation capacity building initiative titled TNDRIP was undertaken in Tamil Nadu, India, during the period 2009-2012. A consortium involving different stakeholders (scientists, officials, drip suppliers, NGOs and leading farmers) was formed in project implementation. A cluster approach was used in selecting the villages and farmers for the capacity building program. Hands-on training in the farmers' fields was provided to all the farmers, including women, by the team of trainers. Regular feedback was obtained from the farmers about the program. Upscale drip irrigation to other regions. The program covered 1,000 farmers from across 100 villages during the period 2009-2012. The program has also created better awareness and adoption among the drip farmers in other areas. Thus, coverage of the program in creating awareness involved about 10,000 farmers in a three-year period. An Impact Assessment Study of the TNDRIP program was carried out in February, 2012, to understand the impact of adoption of all the core drip maintenance practices in 11 crops cultivated by the adopters. The yield increases and water savings were significant, ranging from 17 to 36%. Also, it created awareness of drip irrigation amongst the community, and this created the demand for its extension in other regions of the state. Also, farmers who were not adopting drip started investing in drip irrigation after seeing the success of the training program. The study reveals that a majority of the farmers (78%) shared the information about drip maintenance practices to their family members and to other fellow farmers. Farmers find the information useful and are ready to share the same with others. In 2004, the state of Tamil Nadu in Indiua faced a serious water crisis: The state of 60 million people had historically relied on its system of surface reservoirs and groundwater resources to meet its water needs. However water management and farming practices that evolved during the India's "Green Revolution" had severely taxed the state's freshwater supply. The problem was not simply an issue of water demand exceeding water supply, but also of poor water management practices at every level: senior policy-makers, government field officers, and communities. Institutional inertia, rigid hierarchies, and apathy among officers at the utility had prevented an effective response: engineers focused narrowly on maintaining designated pump schedules, without regard to whether farmers actually received water. The traditional local water body maintenance and sharing system in villages was abandoned as the government delivered water through pipe and pump conveyance systems. Further, traditional notions of social hierarchies and caste barriers prevented collaborative management of water resources. In response, a group of officials in the state's water utility launched the Democratisation of Water Management Initiative to improve water service delivery and achieve sustainable and equitable water supply. They did this by changing the perspectives and behaviors of government officers in the water sector and facilitating a collaborative relationship between these officers and the communities they served. This entirely new approach to water delivery in Tamil Nadu addressed the behavioral causes of the water crisis at the most personal level of the individual. The initiative focused on shifting the values and resultant behaviors of individuals toward sound water management practices and more collaborative social relationships among all stakeholders in the water sector: water engineers, agricultural engineers, policy-makers, and villagers. The relationships between water utility officers and villagers were traditionally marked by alienation, animosity and narrow definitions of siloed roles and responsibilities, all of which contributed to poor water service in the villages. Water service solutions which were tailored to community needs, more cost-effective, and more ecologically sound. The clear impacts of the Initiative led the World Bank to adopt it as a key element of its US$566 million integrated water and food project in Tamil Nadu. Additionally, public works departments in six other states in India are implementing approaches based on the Initiative. Bangladesh is one of the largely populated countries in the world. The main problem for water supply in Bangladesh lies in its quality, especially in the widespread contamination with arsenic. 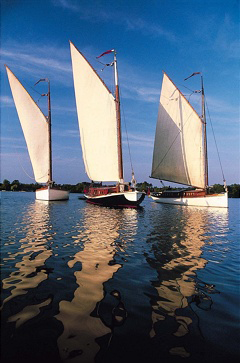 A speciﬁc problem of the coastal region is the intrusion of saline ground water. A third source of contamination is human excreta, due to unsanitary latrines (e.g. 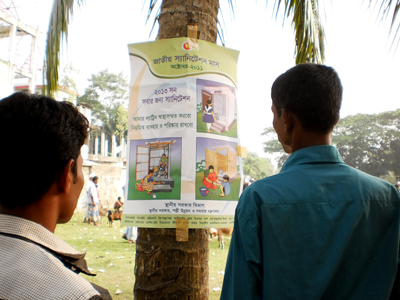 so-called hanging latrines).The JMP report 2012 revealed that the safe water coverage in Bangladesh is 81% and improved sanitation coverage is 56%. Water supply and sanitation sector is vulnerable to potential threat of climate change. Surface water sources in coastal region are contaminated due to the frequent natural disasters destroying and ﬂooding tube wells, ponds and latrines. The project's area of focus was Water, Sanitation and Hygiene (WASH) for the most impoverished section of people living in some selected remote localities of rural Bangladesh. 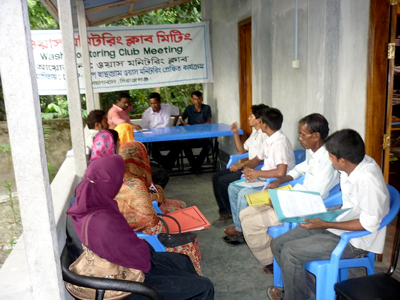 Development Organization of the Rural Poor (DORP) has been trying to improve marginalized Poor's water, sanitation and hygiene situation by undertaking this project in six sub-districts of Bangladesh since 2011, which is the continuation of "Health Village" (2005-2010) program. This initiative is trying to ensure the Right to Water and Sanitation through a bottom-up approach involving community at local level to create demand and also influencing the national policy makers to fulfill this demand. The initiative monitors implementation of WASH budget to encourage the community, particularly the marginalized women, to participate in the budget related sessions of the Union Parishad to express their needs with a view to achieve WASH objectives in the sub-district areas. Service providers are participating in open budget sessions, advocacy and consultation meetings, which is an initiative of down level accountability mechanism. The WASH budget monitoring model approach (which is a bottom up approach with the involvement of local community) is gradually changing the mind set of persons and institutions. In the changing circumstance, they are now sharing the budget issues and information about the availability of funds with the poorest of the poor at village level. There was no effective and easy channel for the poor to reach to the policy makers at various levels (village to union, union to upazila, and upazila to district and national level) where they could submit their demands. This initiative has served to establish an effective channel which would be used by broad section of rural people for their voices to be heard at all levels. Through this initiative, approximately 0.10 million people of six unions have been oriented about best practices and especially vulnerable peoples like women, children, and poor are benefited. They are now raising voices for safe water, hygiene toilet and best utilization of allocated budget in the union and upazila level. 6 upazila chairman, 6 union chairman and 72 union members have been oriented also with the initiative and support the best practice as well. They also demanded for an increased budget prepared with community participation to upper level on water and sanitation which has been accepted by the government. The overall achievement of this best practice is involving community of their right to water and sanitation need and tracking of committed WASH funds.